Despite existing disagreements among and between members, leaders of APEC economies will try to bolster consensus on regional issues at the APEC Summit. A major concern for most APEC members is how to advance the goal of achieving further trade and investment liberalization in the Asia-Pacific region through the Free Trade Agreement in Asia and the Pacific (FTAAP) at a time of rising anti-globalization and protectionism, according to Professor Carl Thayer, Emeritus Professor of the University of New South Wales at the Australian Defense Force Academy. “Allied to this, APEC members will be concerned to maintain the relevance of their organization at a time of challenges raised by competing initiatives such as the Regional Comprehensive Economic Partnership (RCEP) and China’s Belt and Road Initiative, as well as US President Donald Trump’s shift away from multilateralism to bilateralism in trade,” he said. APEC members, he noted, need to commit to implementing the Lima Declaration on the FTAAP by developing multi-year work plans setting out key milestones. Such matters have presented Vietnam with a number of headaches, according to analysts, as world leaders descend upon Da Nang. 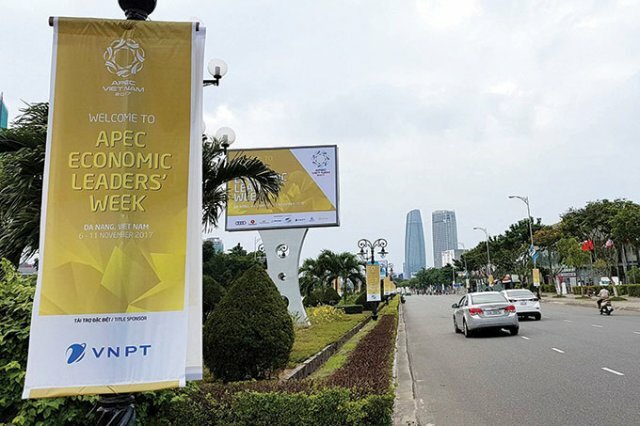 While Mr. Hiebert believes that one of the challenges for the host is to ensure that leaders of all 21 APEC economies actually attend the Summit, Professor Thayer said Vietnam will use the opportunity as Chair of APEC 2017 to host official visits to Hanoi by China’s President Xi Jinping and US President Donald Trump. “This will not be a particularly tough time for Vietnam because there is growing convergence between Beijing and Washington on how to deal with the nuclear threat in North Korea and how to settle differences over bilateral trade,” he said. “Vietnamese diplomacy has always been adept at playing off differences and convergences in the material interests of major powers. As a result, both China and the US will see it is in their interest to support Vietnam’s autonomy and role as a positive contributor to regional security.” But he believes that major breakthroughs, if any, will need to secure consensus among APEC members and that national reforms and adherence to higher international standards are necessary to implement these priorities and to set putative deadlines to work towards full implementation. 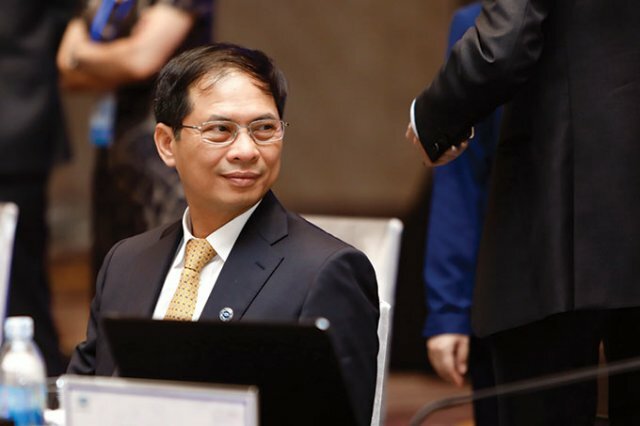 “Individual countries must publicly commit themselves to attain these goals,” he said, adding that Vietnam should lobby for financial and other support to advance its own national development. This will be the second time within a year or so that Air Force One has touched down in Vietnam, this time bringing President Trump to Da Nang and then Hanoi, where he will pay an official visit. While China’s President Xi will also pay an official post-Summit visit, Mr. Hiebert said that all eyes will be on President Trump as he attends his first APEC Summit since taking office in January. “After he pulled out of the TPP and threatened to pull out of the US-South Korea Free Trade Agreement, APEC members will look to President Trump’s speech at the Summit for clues on how the US will engage with the Asia-Pacific region,” he said. One of the key objectives for President Trump during his upcoming trip to Asia is to demonstrate the US’s continued commitment to leadership in multilateral institutions and regional architectures, according to Mr. Bower. Besides APEC, the President is also attending the US-ASEAN Summit in the Philippines and visiting other key allies, including Japan and South Korea, and also making an important stop in China. “The Trump administration’s policy approach so far suggests that North Korea and terrorism are likely to be highlighted as priorities in his visit, given the escalating nuclear threat from Pyongyang and the spread of ISIS forces in some ASEAN countries,” Mr. Bower said. For his part, Professor Thayer said that Vietnam’s hosting of the APEC Summit for the second time illustrates the importance of its longstanding policy of diversifying and multilateralizing its external relations. “Vietnam will be able to demonstrate that the country is a strong and positive contributor to regional and global security,” he said. “In turn, it can solicit further support from APEC’s more advance economies to promote its development goals.” While Mr. Bower said that Vietnam’s pragmatic foreign policy approach is likely to keep the country in balance despite an increasingly complex international security and economic environment, Mr. Ling Dequan from Xinhua Agency’s Global Studies Center puts high hopes on the host and its theme for the APEC Summit 2017. “I think Vietnam will be smart and be able to push all APEC members, especially the four powers - China, Russia, the US and Japan - to maintain the overall situation of good cooperation in the Asia-Pacific region, making use of APEC’s theme of ‘Creating New Dynamism, Fostering a Shared Future’ and making a major contribution to the new phase of economic cooperation in the Asia-Pacific region,” he said.